Well there was no progress made on the master bedroom front over the weekend. But only because Andre and I got to spend an entire weekend playing tourists in our own city, while the kids had a fabulous time at their grandparents! We are all back together again and feeling refreshed and ready to hit the last half of the year running. We have a lot to pack in… we just don’t know what yet?! So I started today by walking to kindy in the rain, and then a morning of chores, with the fire crackling and the washing machine humming. I also finally got around to making my own washing powder! Mum knew I wanted to make some, so she bought me all the ingredients from Wendyl Nissen’s shop a few weeks ago. 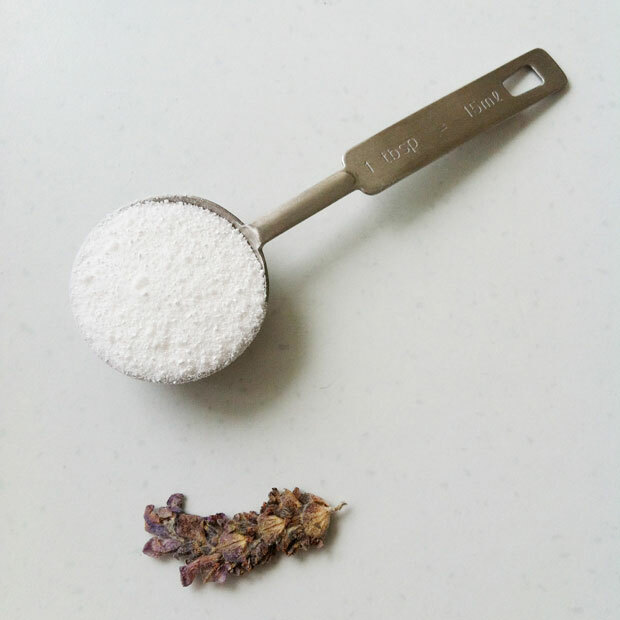 Combine 1 cup of Soda Ash and 1 cup of Baking Soda in a food processor. Mix 60mL of Dr Bronner’s Castille Soap and 20 drops (or 2mL) of essential oil (I used lavender) together. With the processor running on low speed, slowly pour the liquid mixture into the powder until it is all combined. Store the laundry powder in an airtight container. Use 1-2tbsp per load. It smells amazing, and I can’t wait to try it out! This entry was posted in Cleaning, DIY, Environmentally Friendly, Recipe and tagged diy, green goddess, homemade, laundry powder, recipe, washing powder, wendyl nissen on June 30, 2014 by Jolene. In honour of my biggest cleaning day of the week I thought I’d share a recipe for some home made cleaner which I’m using at the moment. 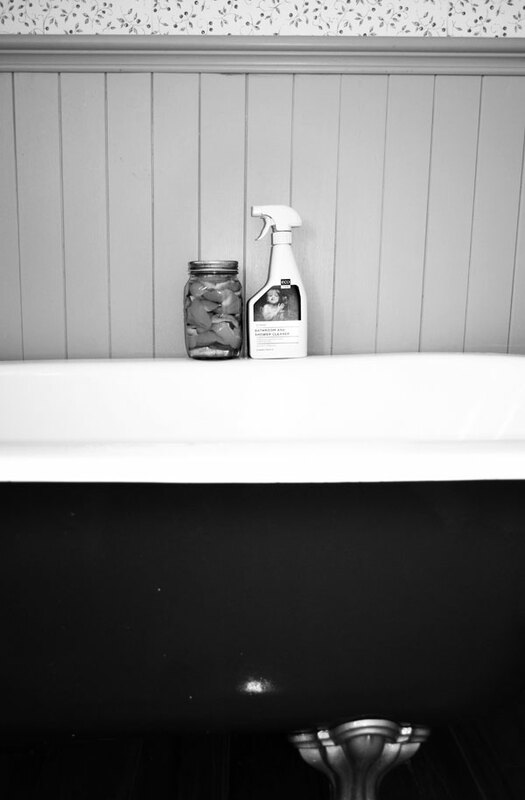 Since having kids in the house, I’ve become rather wary of chemical cleaning products and do my best to stick with natural products. It’s nice to not have to be overly concerned when Dad gives the kids a bath and you walk in to find they’ve mistaken the cloth you used to clean the bath earlier for a facecloth. True. Having tried everything from Eco Store to home show purchases, I’ve been a little annoyed that products seem to be either ineffective or very expensive, or both! I found that straight vinegar doesn’t work so well, and adding baking powder to make a paste is a bit of a nuisance. But enter citrus peel… and we have a winner! Done! To save a little elbow grease, spray it on and wait a few minutes before wiping. I’ve used this recipe for a couple of weeks now, and slowly the cringe areas of built up grime are disappearing. It’s not without some scrubbing, but surely a work out while cleaning beats eating cake while leaving nasty chemicals to do the dirty work? In the long run anyway! 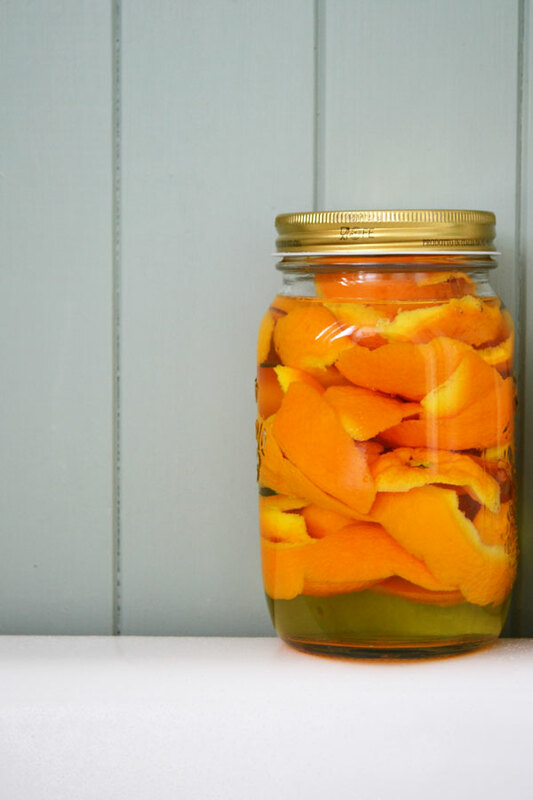 This entry was posted in Cleaning, DIY, Environmentally Friendly, Recipe and tagged bathroom cleaner, citrus cleaner, cleaner recipe, diy, homemade cleaner, natural cleaner on November 8, 2013 by Jolene. I’m sure I had some awesome little space to share with you today… but overnight, it’s disappeared into the recesses of my brain (probably never to be found again). However, I have something else just as awesome (and still on a small scale) to share with you. I first saw these cuties via Citta Design on Instagram, then on the Fancy blog. And I’m such a sucker for l’il things. These l’il things are especially sweet because of their story. Do you know what? 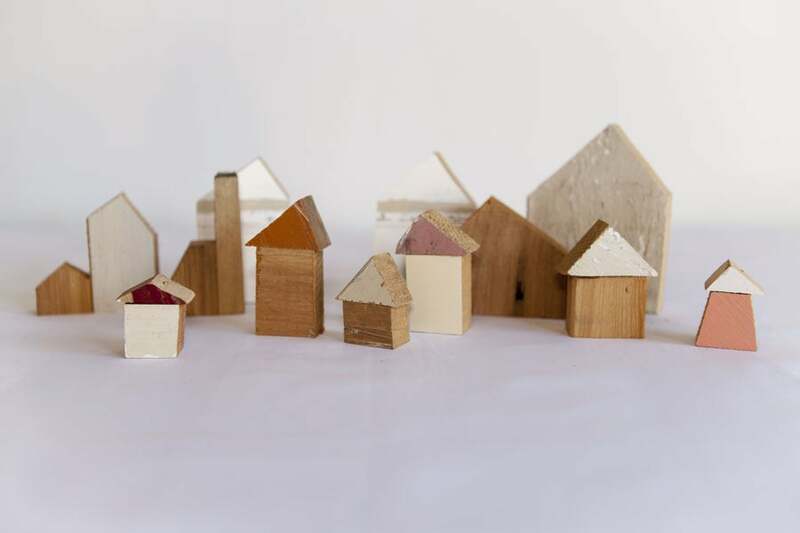 This little set of town houses is made with love from Christchurch. Rekindle is an enterprise with a socially and environmentally responsible heart, working to make beautiful things out of the broken up bits of a city devasted by earthquakes. Coming up is a kids version, free from nasties like lead paint and splinters. They also do jewellery and real size furniture. 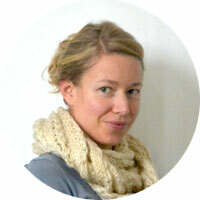 Go Christchurch, go creativity from challenges, go preserving histories, go Rekindle! This entry was posted in Design, Environmentally Friendly, Shopping, Small Spaces and tagged building blocks, christchurch, city scape, new zealand, rekindle, repurpose, small spaces, wood on July 3, 2013 by Jolene. Last week I finished a little project which was free and very simple, but so useful and satisfying! Many of you will have seen sneak peeks on instagram (@duckeggblueblog) or Facebook, but here’s the step by step process with all the details! I started with a beer crate, which came from a little liquor store down the road and around the corner a bit. I expected to pay a few dollars for it, but they were happy to give it to me for free. Ask around – I’ve heard some places will charge up to $7. When I got it, I wasn’t sure what, if anything I was going to do with it. But being free, I thought I may as well attack it with the sander to start with. Just to make the beer branding a little less obvious. Somewhere along the way I thought I’d give it the dipped look, so I didn’t worry about sanding it back too much. I’m a bit slow on the uptake with creating a dipped piece of furniture (although my dining chairs have a similar look – and caused a bit of controversy over on Apartment Therapy!). I started with a coat of primer, and decided it didn’t need a top coat. I don’t want it to look too polished (it’s a kindling box, not a lingerie drawer) so the roughness of the primer is perfect. And there is just a teensy bit of show through with the ABC branding and wood grain, which I’m delighted with! This was all done one sunny afternoon when we were all desperate just to be outside for a bit. 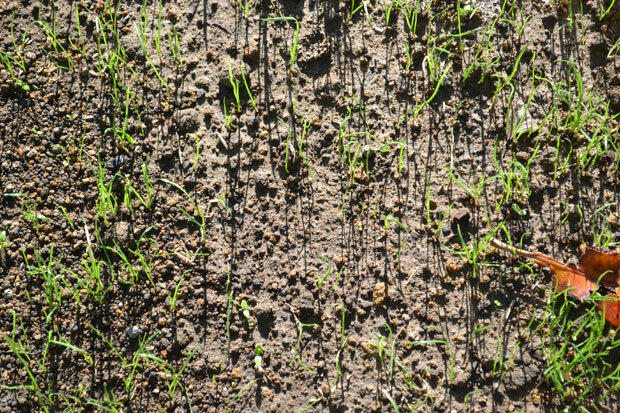 We’ve had a lot of rain lately and moods are washing up with the grass seed. We are not good at winter around here, but this new kindling box is helping a little! The crate is way too small for a firewood box (which I originally thought it might be) but perfect for kindling and paper. 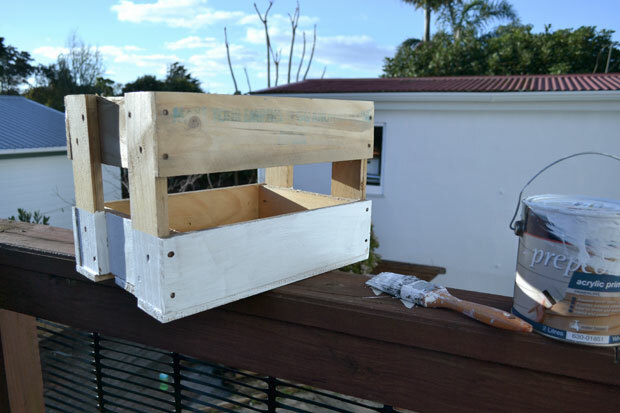 So I built a divider (which also covers the gaps in the bottom of the crate to prevent the kindling dropping out) by screwing a piece of scrap ply at right angles to another. Rough… really rough… but it does the job. And you can’t see it when the box is full of kindling and paper! I did consider adding castors (these are authentic vintage! It’s truly amazing what one can find in the husbands garage!) but a friend brought up a very good point that it would only encourage the kids to trundle it all over the house. Totally right. So we’ll give those a miss. They would have looked awesome, but I prefer my kindling and firewood mess to be confined in one spot. So the retro castors are back in the depths of the man cave, until I think of something else to do with them. 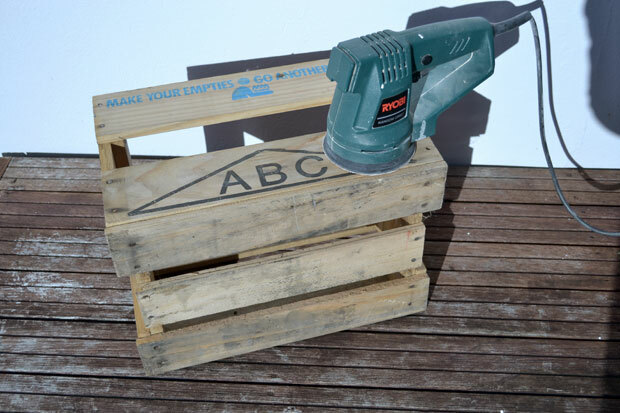 One beer crate turned kindling box (I keep wanting to call it a firestarter box but it sounds a bit wrong?!) – nice huh?! And here it is insitu alongside the Rondo log basket which I bought from The Warehouse (one day after the sale so it cost me $50 instead of $30… too s l o w for the discount). I’ve grown used to the fireplace now and barely notice it’s motley appearance, but if you’re new to this blog you can see what happened here. The hearth definitely needs some tile, but the brick surround may just stay as it is. I kinda like it! Here’s a couple of gratuitous close ups and birds eye views. Love how such cheap and easy projects can be just as satisfying as the more costly and time consuming ones! Note: The wardrobe poll is sitting at over 80% for freestanding! Wow! It’s still running, so go and have your say if you want to join the argument. Me: “Huh! Over 80% for free standing!” Andre: “Yeah, but how many times have you voted? !” Me: “None! I promise!”. 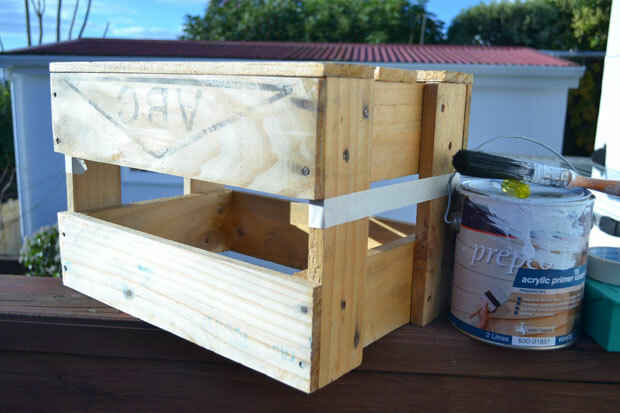 This entry was posted in Craft, DIY, Environmentally Friendly, Storage and tagged basket, beer crate, box, brick fireplace, crate, diy, firewood, free, kindling, log, project, storage on June 4, 2013 by Jolene. So, last time we talked about grass I was still holding out hope. This time, not so much. 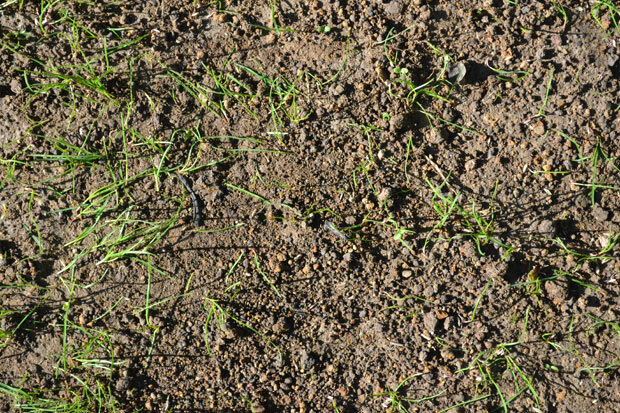 A sad and sorry lawn after 3 weeks of waiting for a miracle sent me back to the seed shop for another bag of Supalawn seed and some more advice. Another $11.70. And a disappointed face. After all that rain we’ve had the bare patches were pretty compacted and so unwelcoming. A gentle as possible rake over while trying not to disturb the baby grass roughed them up a bit ready for new seed. This time I ripped a small hole in the bag and shook it around as I walked, spreading heavier on the barest patches and a light sprinkling everywhere else. As I went, I stamped it in a little to help it to hold on in case of more rain. A light watering, and I was done. I didn’t want to give it too much water as the soil is still pretty soggy. 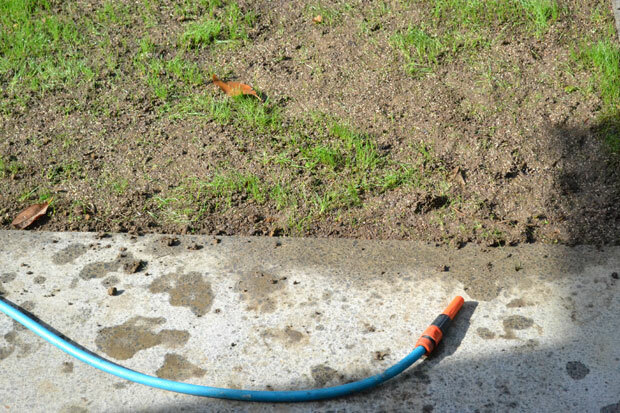 And once again, the hose is left trailing along our front pathway as I’m far too lazy to roll it up between daily waterings. Fingers and toes crossed this time. 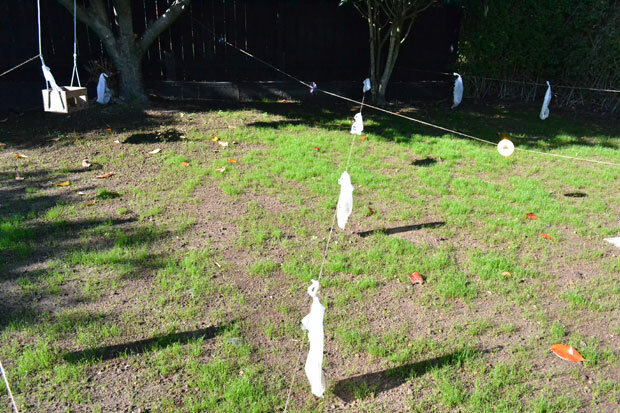 This entry was posted in DIY, Environmentally Friendly, Front Yard, Garage & Outdoors, Landscaping, Our Renovation and tagged diy, front yard, grass, lawn, seed on May 16, 2013 by Jolene. After a second go over with Kiwicare’s Organic Weedfree Rapid, most greenery on our front patch had turned to brownery. 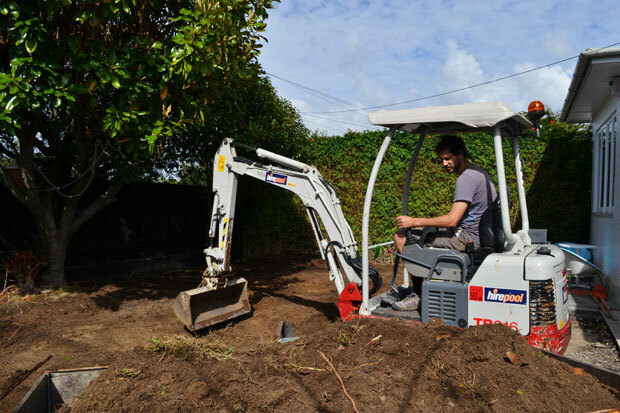 So… plan A to borrow a digger didn’t work out. (Yes there were tears from Master W, and maybe even some from me!) 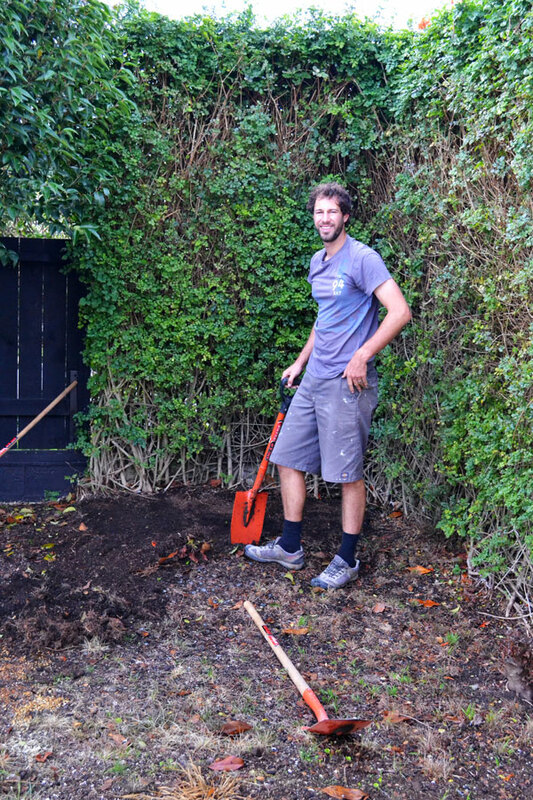 And Andre didn’t get far beyond this corner before he threw in the towel spade and went to hire a digger. 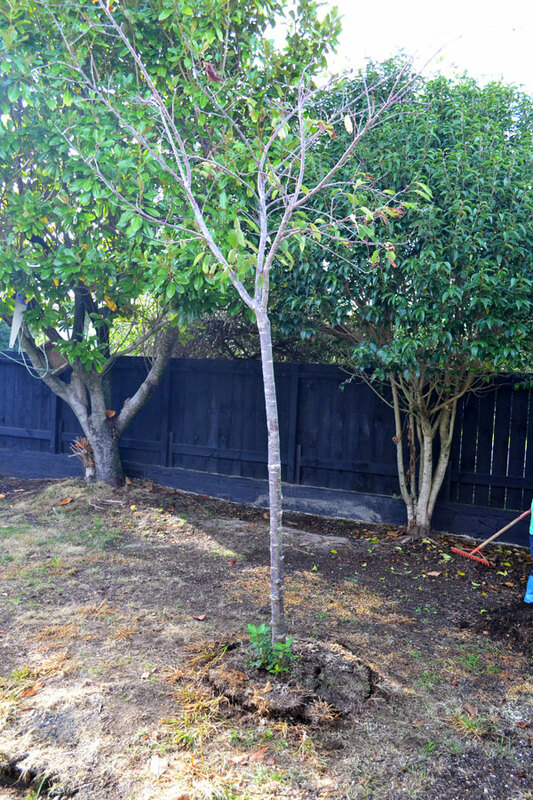 First though, he dug out the cherry tree and we have put that aside for some lucky bidder. At $200 for half a day, diggers don’t come cheap. But sometimes you just have to deal with that. Especially when the sunny morning turns to a stormy afternoon, and you have way too many loads of washing due to sick kids. $200 well spent! 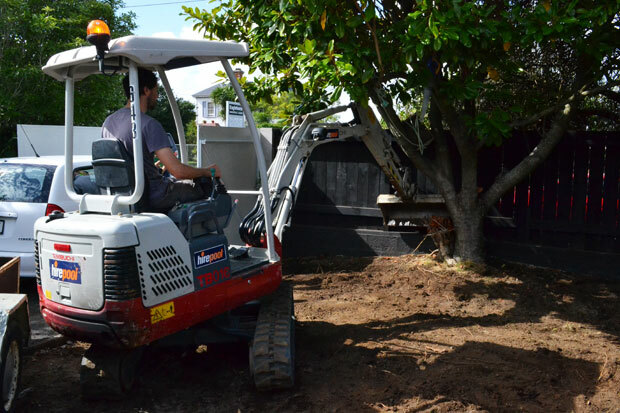 Our deadline to return the digger was 2pm, and the landscaping place where we planned to get some new topsoil closed at 3pm. 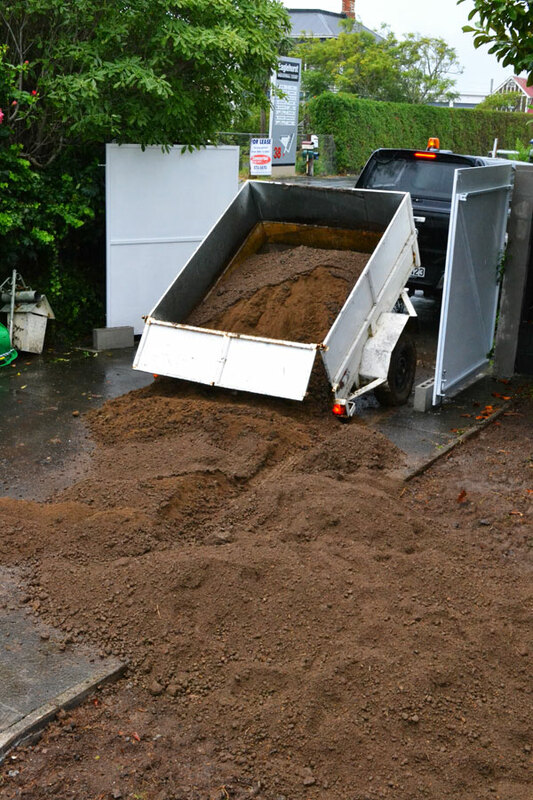 So… for one rainy hour it was all go and we managed to get two loads of topsoil dumped on the drive by 3pm. 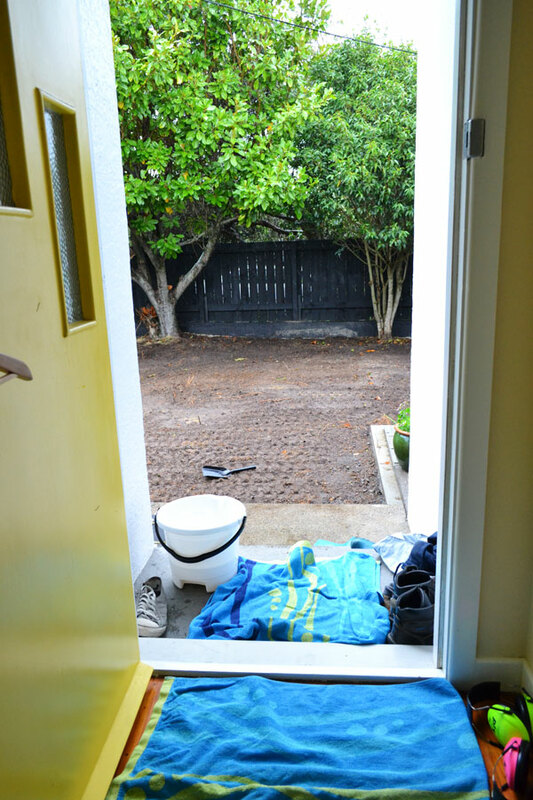 Access onto the lawn is tight through that gate… so we resigned ourselves to shovelling in the rain. I was pretty tired of sitting around a steamy house so I volunteered to shovel the first shift. 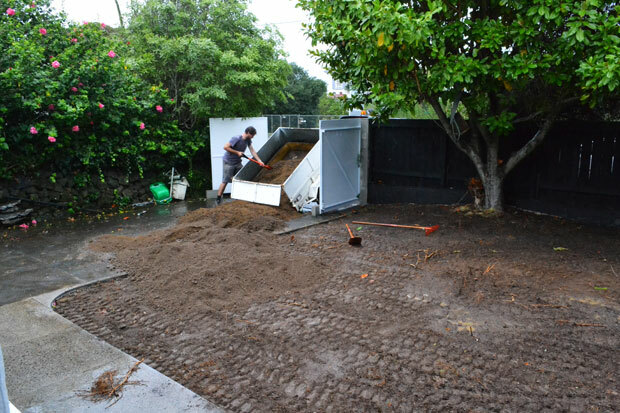 Andre got to finish off, and did a great job removing all evidence of a pile of dirt on the drive. Here’s how the front doorway looked all day. You know I’m fussy about grubby floors. Please wash up in the bucket, wipe your feet, and wipe them again! 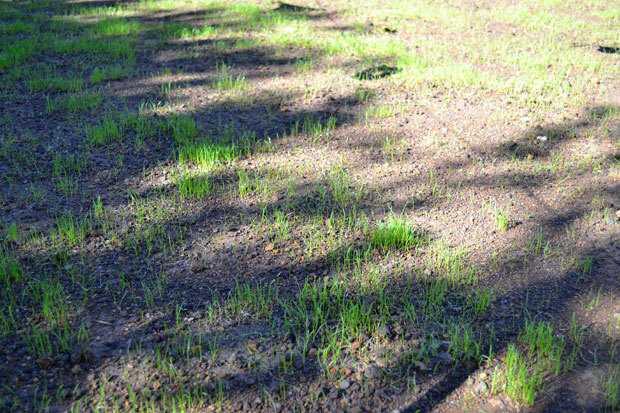 This entry was posted in DIY, Environmentally Friendly, Front Yard, Garage & Outdoors, Landscaping, Our Renovation and tagged front yard, lawn, topsoil on April 23, 2013 by Jolene. Grass weeds be gone! Three days after spraying (we chose Kiwicare Organic Weedfree Rapid), and a patch of heavy rain on two of those days, things are very slowly dying off. Looks like we will have to reapply – there are some tough weeds in our front patch of dirt, which are showing no signs of wilting! Here’s how we’re keeping the kids out of harms way. It doesn’t look good but it’s working! Apart from a second dose of spray there’s not much we can do here for a few days. This time next week we’ll be thinking about hiring a rotary hoe and picking up a load of new topsoil. So tomorrow, if the rain stays away, that gate just might get some attention from a paintbrush. 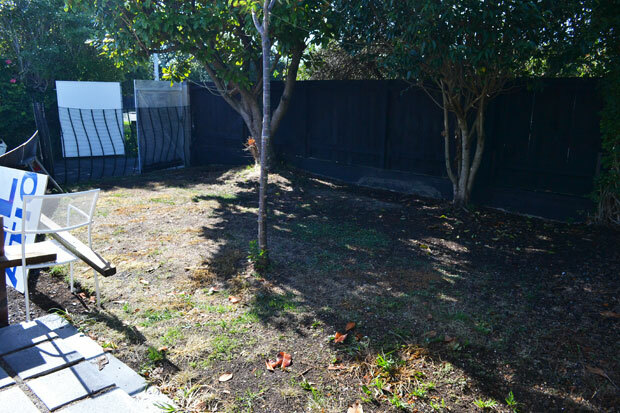 This entry was posted in DIY, Environmentally Friendly, Front Yard, Garage & Outdoors, Kids, Landscaping, Our Renovation and tagged kiwicare, lawn, organic weed spray on April 12, 2013 by Jolene.